Want to know the skincare products everyone’s been adding to their basket this month? Your wish is my command! To mark the last remaining days of our French Pharmacy promotion I have uncovered all of the French products the beauty world is raving about. Spring may have only just begun but suncare seems to be on everyone’s mind! 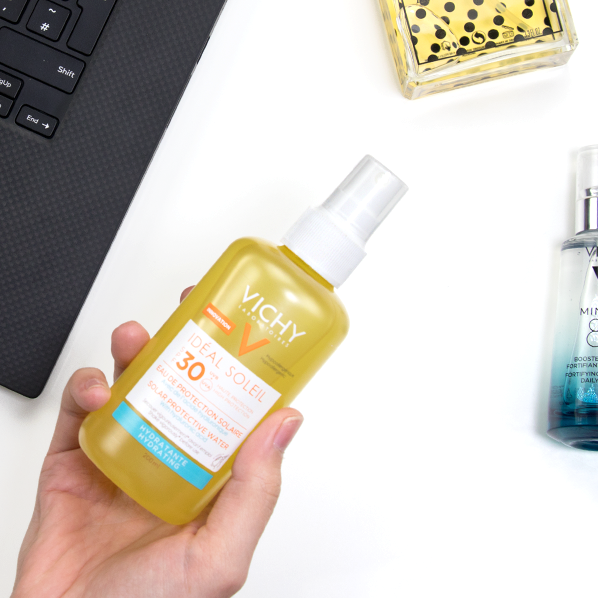 One formula that’s causing a stir, in particular, is the latest suncare innovation from Vichy, the Ideal Soleil Solar Protective Water – Hydrating SPF30. This SPF water offers broad-spectrum protection and is infused with antioxidants and 40% Vichy Mineralizing Thermal Water that keep skin optimally hydrated while you’re out in the sun. A must-have for your next holiday! This oil is a French Pharmacy icon, so it’s no wonder everyone’s ogling over this new limited edition. Dressed in an ultra-chic dot design, the new Huile Prodigieuse Plumetis Edition oozes dressing table appeal. Inside you’ll find the same 98.7% natural formula everyone knows and loves; a 30% plant oil blend that can be used to nourish dry hair and hydrate skin all over. Retinol is having a bit of a moment and so it should, the ingredient works wonders on wrinkles, fine lines, dark spots and more. Of course, you can’t mention retinol and not mention Redermic R by La Roche-Posay, it’s an industry favourite that’s still a hot topic. Made with 0.3% pure retinol, the anti-ageing treatment helps to stimulate collagen and elastin in the skin to firm, smooth and youthful. Everywhere I look someone’s singing Vichy Mineral 89’s praises. It’s without a doubt the French Pharmacy product of the moment. 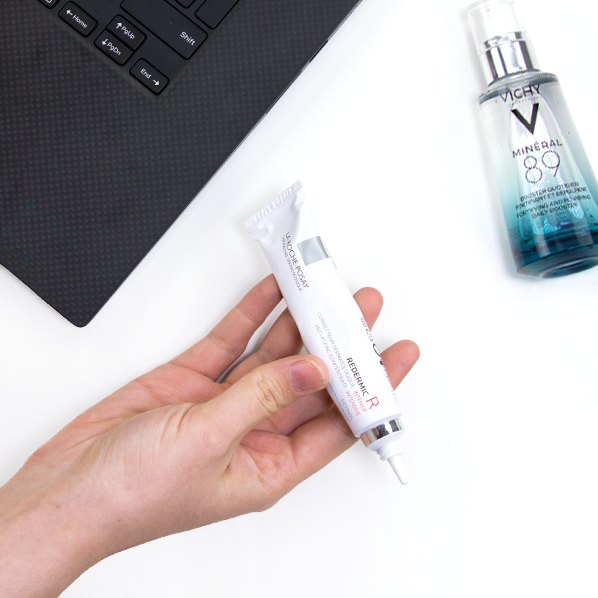 Made to hydrate, plump, and protect skin from external aggressors, skin receives its daily dose of strength thanks to an 89% Vichy Mineralizing Thermal Water formula with hyaluronic acid and 15 supercharged minerals. Made for all skin types, Mineral 89 is a no-brainer French Pharmacy purchase! Pigmentation? No problem! The Bioderma White Objective Lightening Serum has been popular since its release but this month it’s selling more than ever. The overnight concentrate contains glycolic acid and Bioderma’s W.O.® patent, which lightens dark spots and adds radiance to the complexion. The best thing is that everyone can use it, even those with sensitive skin! This entry was posted on Tuesday, April 17th, 2018 at 5:53 pm and is filed under French Pharmacy, New products, Skincare, Skincare Edit, Trends, Tried & Tested. You can follow any responses to this entry through the RSS 2.0 feed. You can skip to the end and leave a response. Pinging is currently not allowed.